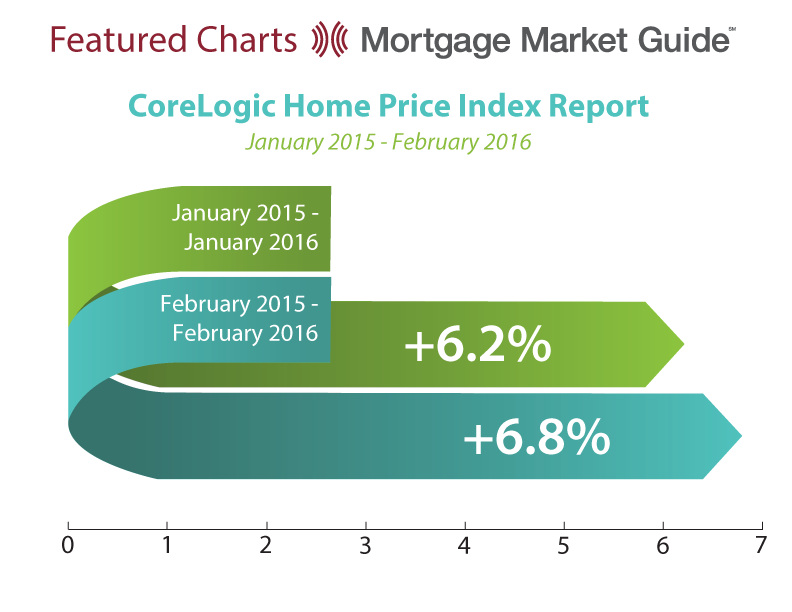 CoreLogic reports that home prices, including distressed sales, rose by 6.8 percent from February 2015 to February 2016. 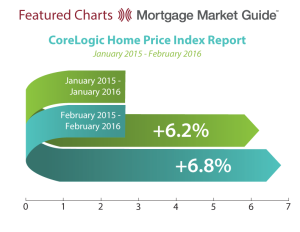 Month-over-month prices also were up 1.1 percent from January to February. Frank Nothaft, chief economist for CoreLogic, said the “economic forces” of lower home loan rates and strong job creation will “sustain home prices during the spring and support the 5.2% home price appreciation CoreLogic projected” for this year.